Glass Cylinders with real Coral pieces. 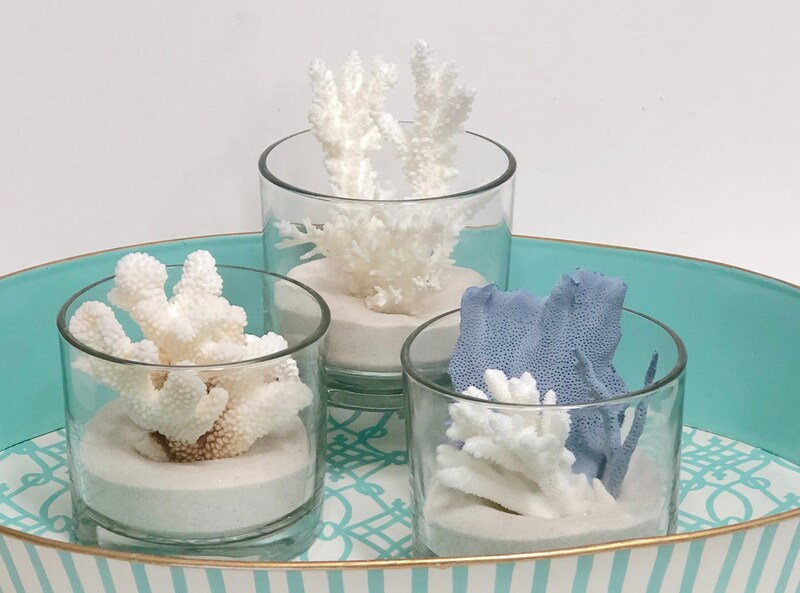 A little sand at the bottom is topped with natural corals - choose blue and white corals, branch and lace corals or brown stem coral. Glass Cylinders are 5" diameter.